Women and their shoes by Mark Schwartz . Women posing with their favorite pair of shoes . 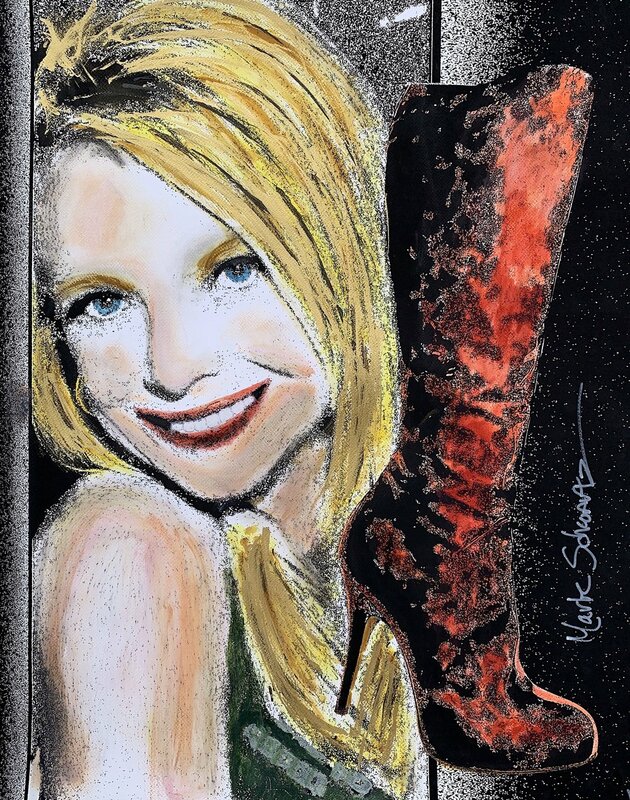 Send me your picture of your self and your fave pair of shoes then I will do a portrait style painting . WOMEN AND THEIR SHOES BY MARK SCHWARTZ - SERIES OF WOMEN POSIGN WITH THEIR FAVORITE SHOES .